One of the ways young black folks who do all the right things are held back is by a system of predatory credit based on race. In America it is virtually impossible to generate Generational Wealth without credit as the principal vehicle for the middle class gathering that wealth has been their homes. Back when I was a youngster making very good money in my first professional job, as well as bankable money in several side enterprises. I wound up at 22 years old with about $6k in savings – which was a fairly tidy sum in the early 70’s for a guy just starting out. Now, my parents, despite being homeowners, never taught me about how to buy a house – but I recognized, with the advice of friends what a tremendous investment it could be. I owned an old ’75 Mustang I had bought used, and which ran pretty well. A fairly fancy new car at that point was about $3500 – and in terms of Pony cars that was one with a few upgrades in terms of horses. Working a side job as a DJ in the emerging Disco scene, I noticed the previously run down portion of town (Georgetown for those who know DC) was undergoing a transformation as hip white adults began to buy up the old Townhouses. Prices on the main drag were far beyond my reach – but 3 blocks off, there were a group of unrestored – dilapidated townhouses, which had been cut up into rentals. The owner held the entire block. 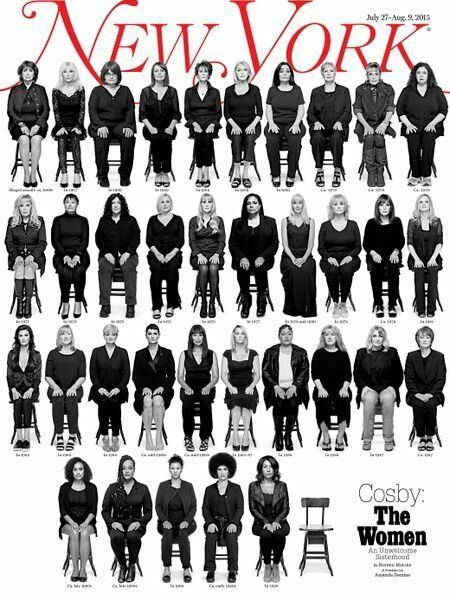 Most of the residents were black, which for white investors presented a problem in terms of doing anything less than taking out the whole block. Asked the owner if he would consider selling a smaller portion of the property. He agreed on a block of 3 houses for $21,000 or two for $17,000. I had $6k, and anyway you look at it that is nearly a 30% down payment on the block of 3. I would have to decide what to do with them – and decided, being handy with tools, I could renovate them and sell them while living in one. Could not get a loan. Really didn’t matter that I made $12k a year in my “day job”, 30% or better down… Nyet! Very few banks loaned to black folks in those days…And the few that did didn’t loan money to us 22 year old tech upstarts, because they had no comprehension that I would double my income in less than 2 years. No way to raise the money before he sold those houses as a block to a developed… They sell for about $2 million per house now. Seems that things haven’t really changed. Meanwhile US Home ownership has dropped to its lowest level since 1967. A recent study in the Journal of Real Estate and Finance Economics finds that black home loan borrowers are charged higher interest rates than their white counterparts—and that black women pay the highest rates of all. The three finance professors who authored the study analyzed the mortgages and demographic characteristics of more than 3,500 households during the height of the housing boom—2001, 2004, and 2007—using the Federal Reserve’s triennialSurvey of Consumer Finances. They found that on average, black borrowers were charged between 0.29 and 0.31 percentage points more in interest than whites, even after controlling for their debt and credit history. 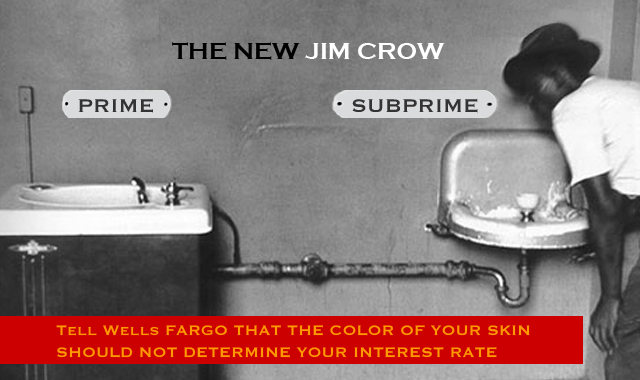 The racial disparity was most pronounced for subprime borrowers who couldn’t qualify for low-interest mortgages (the left side of the chart above), with black borrowers paying interest rates that were at least 0.4 percentage points higher than whites in the same group. Within this group paying the highest interest rates, black women paid the highest rates of all, at an average rate of 7.9 percent. But a statistically significant disparity persisted even among those who paid lower interest rates (the right side of the chart), the study notes. In this group, black borrowers paid interest rates between 0.1 percent and 0.4 percentage points higher than their white counterparts. Over at Quartz, Melvin Backman explains how these disparities translate into dollars: According to Freddie Mac’s mortgage cost calculator, a $200,000, 30-year mortgage would cost a black man about $3,000 more than a white man over the course of the loan. A black woman getting the same loan would pay nearly $9,000 more than a white woman. The study adds to a body of research showing that black mortgage applicants aremore likely to be denied credit than white applicants, and are more likely to be charged higher interest rates than whites. It also appears to confirm the racial disparities identified in lawsuits against several of America’s top mortgage lenders, including Wells Fargo and Bank of America’s Countrywide, which faced hefty payouts in a slew of discrimination lawsuits following the housing-market crash. The lawsuitshad even prompted the Obama administration to set up a new unit in the Department of Justice’s civil rights division to deal with the caseload. In my state there are at least 200 different License Plate designs you can choose from. It is a good deal for the State, which tacks on an additional $10 a year fee to purchase the plate. Most States have followed suit, vanity plates being an easy source of revenue. 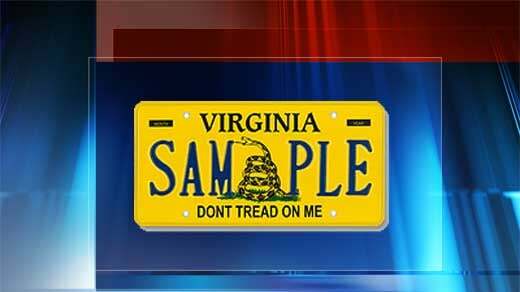 One of the Virginia Plates, , the “Sons of Confederate Veterans” Plate has come under attack in the state post Charleston. My view of the SCV is that it is a legitimate organization. A lot of what they promote is historical reinvention and falsehood (which any of my more savvy readers can suss out with a quick glance at their Web Page) but, in the spirit of “Live and let Live” – I really don’t care about what they want to do, as long as it doesn’t infringe upon the rights of other people. These are the guys who historically are more likely found dressing up in the Grey for a historical reenactment than driving their pickup trucks adored with the confederate flags through black neighborhoods. Unfortunately, they have been invaded by the racist whackjobs , and there is contention over the direction of the group. They, as a group wholeheartedly buy into the Southern Myth. 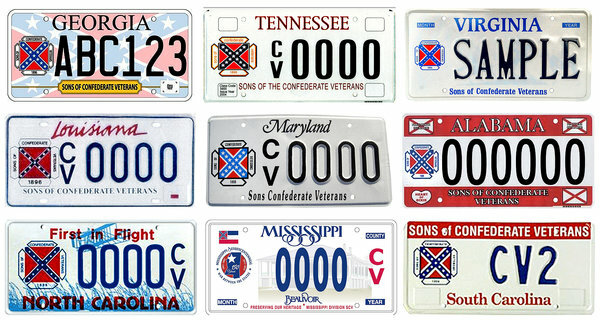 9 States, all except Maryland in the South offer plates with the SCV Logo. 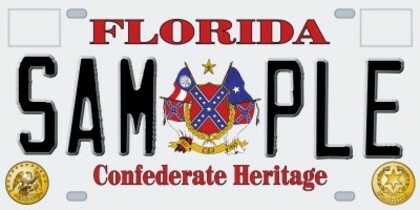 Florida offers a “confederate Heritage” Plate, which is a bit more questionable in my view. Virginia voters are divided 46 – 45 percent on whether the Confederate flag should be removed from state license plates, according to a Quinnipiac University Swing State Poll released Monday morning. 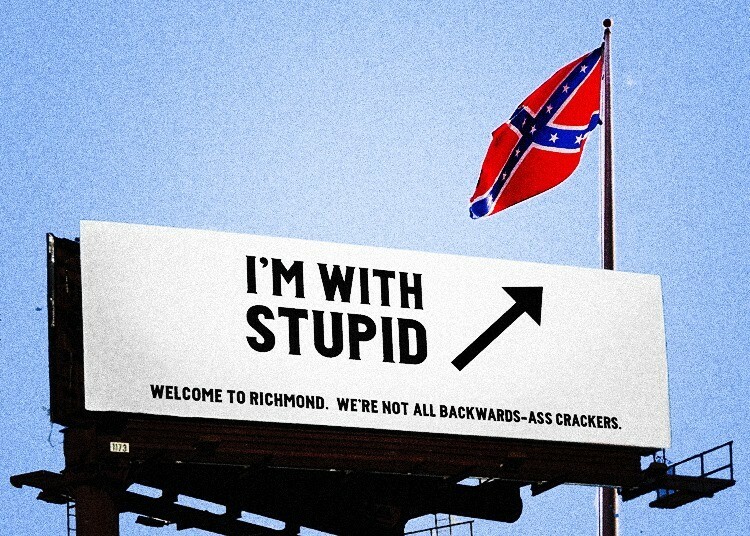 In Virginia, support for eliminating the option of ordering a license plate with a Confederate flag is 73 – 19 percent among Democrats and 48 – 42 percent among independent voters, with Republicans standing by the Stars & Bars 71 – 24 percent. Black voters say 73 – 16 percent eliminate the Confederate flag option, while white voters say 55 – 37 percent keep it. There is no Republican, or Democrat, or Green plate – why exactly should there be one for the Tea Party? ‘I’m No Longer Afraid’: 35 Women Tell Their Stories About Being * Hackers have for some reason taken this site down although it likely will be back up again soon. Posted by btx3 on July 27, 2015 in Domestic terrorism, Nawwwwww! This guy was the former Attorney General under “Governor Gifty”, our former Governor who is now spending time in jail for corruption. The “Chuch” as he is nicknamed also ran for Governor… He lost. A panel discussion on CNN got heated Sunday when former Virginia Attorney General Ken Cuccinelli (R) argued that “Black Lives Matter” is a poor message because it makes white people feel less valued. After former South Carolina Rep. Bakari Sellers (D) explained that as a black man, he was “the only person at this table whose next interaction [with law enforcement] may cause them to be a hashtag,” Cuccinelli suggested that the “Black Lives Matter” slogan and hashtag should be amended, according to CNN footage shared by Raw Story. “Adding t-o-o at the end puts it in a context that makes sense,” he argued. Sellers answered that message is already implicit in the slogan. “We’re saying stop killing us,” he said. The push to adopt the “All Lives Matter” message has been widely criticized as ignoring data that shows black Americans face the greatest risks when confronted by law enforcement. 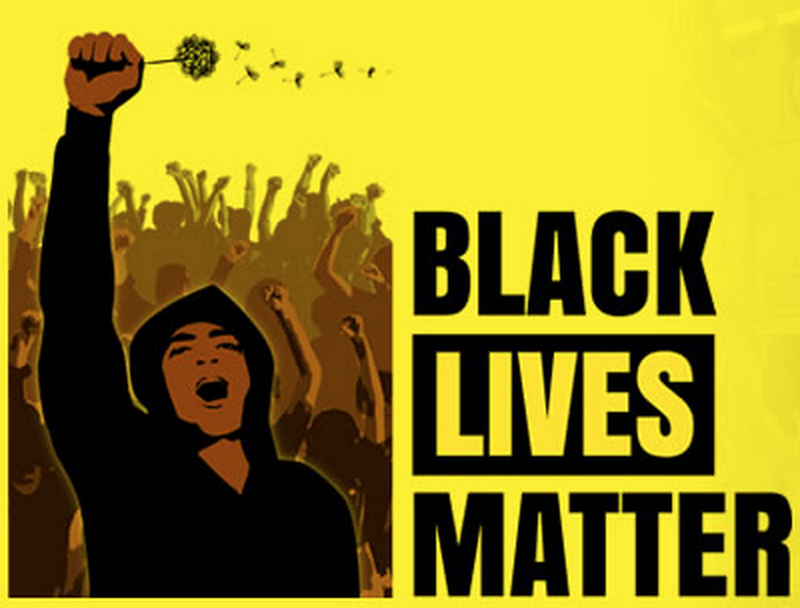 Young black people are 4.5 times more likely to be killed by police than any other age or racial group, according to the Center on Juvenile and Criminal Justice, and while black Americans comprise just 13 percent of the U.S. population, they make up 26 percent of those shot by police.